Order WaterBOB | Water containment system that holds up to 100 gallons. 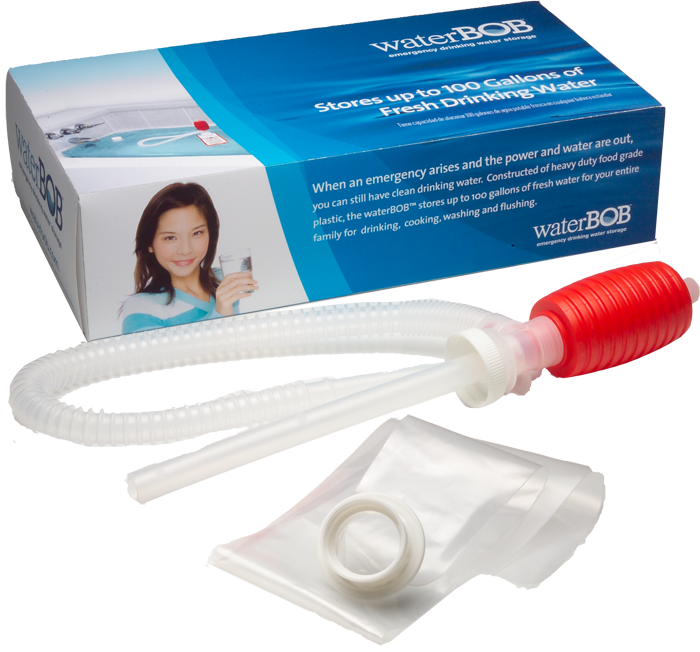 The waterBOB® is a water containment system that holds up to 100 gallons of fresh drinking water in any standard bathtub in the event of an emergency. Constructed of heavy duty food grade plastic, the waterBOB® keeps water fresh and clean for drinking, cooking, washing and flushing. WaterBOB comes with our 30 day money back guarantee. If you are not satisfied with your purchase please contact us for a return authorization. Upon receipt of your return, we will promptly issue a refund of the purchase price. Shipping and handling charges will not be refunded. If you cancel an order, once it has been shipped, there will be a shipping charge for the carrier to return the product to us. Cancelled orders that have not yet shipped will receive a full refund. If you prefer to order on Amazon, click here.